Hi everyone...it's been a while since I posted anything here or made any replies but I have not forgotten about you. Hope everyone is having a wonderful holiday season. 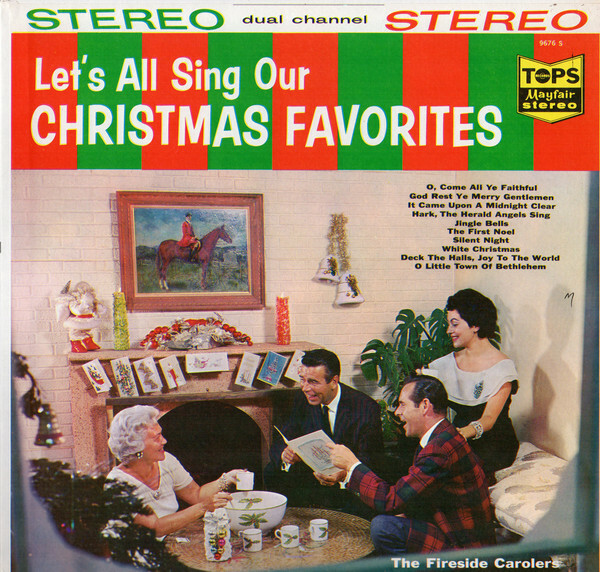 My question concerns a Christmas LP I inquired about by The Fireside Carolers and is titled "Let's All Sing Our Christmas Favorites" originally issued on black vinyl in mono and reissued in stereo on yellow vinyl both on the Tops label. Can anyone tell me if the LP was ever (legitimately) issued onto CD? No, this 1959 LP -- which resides in the "Bubbling Under" section of my Top 500 (coming in at #398), has never been released on CD.